Spring is in the air and a shiny new 13” MacBook Pro is in my office1. It will replace the mid-2011 13” MacBook Air that I’m writing this post with. Why aren’t I writing it on my new machine? Because for the first time ever I’ve decided not to migrate. My current install has been through 6 major operating system upgrades, countless experiments, untold hacks, and more. It’s time to start fresh. I’ll be running the two machines side-by-side for the next couple weeks, only loading things I need on to the new one. This means every app has to prove itself to me again. No exceptions. I plan to write up a few posts as I make the transition, documenting what makes the cut and what doesn’t. This post covers the instant installs that I didn’t hesitate to install on day one. Since this is a work machine, these apps are all Serious Business™. You won’t find games or family tree software in this lot. These apps help me make a living. Dropbox — For file sync and sharing, accept no substitutes. It’s an amazing feeling to load up a new machine with Dropbox, wait a few minutes, and have all my most critical files downloaded and right where I left them. 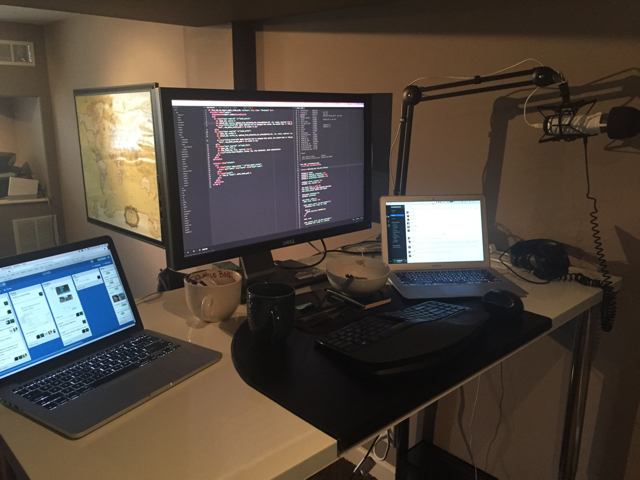 Sublime Text — Speaking of dual wielding, I’m one of those weirdos who uses two text editors: Vim and Sublime Text. ST 3 is an excellent editor, and I’m excited to see its author back from hiatus and making progress once again. Chrome — I fell out of love with Chrome as a day-to-day browser2, but it still has best-in-class Dev Tools, which is the only reason it makes the cut. Audio Hijack — Because podcasting. Dash — The best documentation browser I’ve ever used. I almost forgot that it also makes docs available offline until a recent trip to the boondocks reminded me. So great. Soulver — I always have one or two Soulver sheets open while working. It sits in the sweet spot between Spotlight math and a full-on spreadsheet. Moom — I wish I didn’t need Moom. 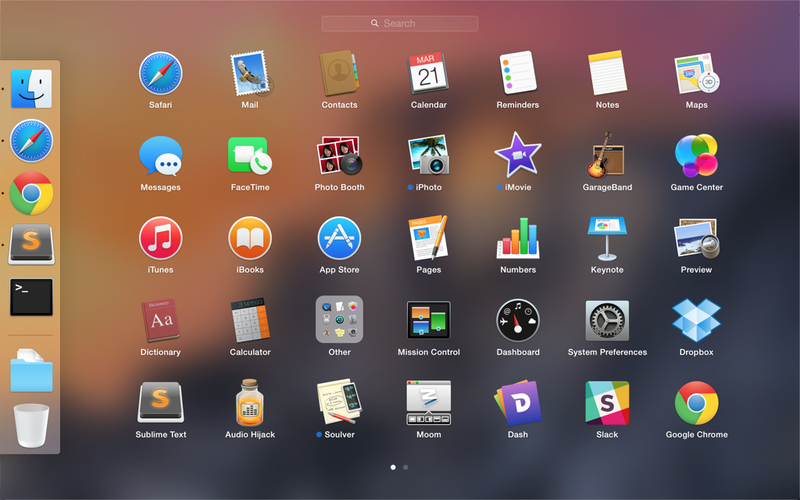 OS X should handle window management better3, but it doesn’t. Moom fixes it. Slack — Slack is team communication done right. Their Mac app, like everything else, is an absolute joy to use. iCloud now brings many settings with it. 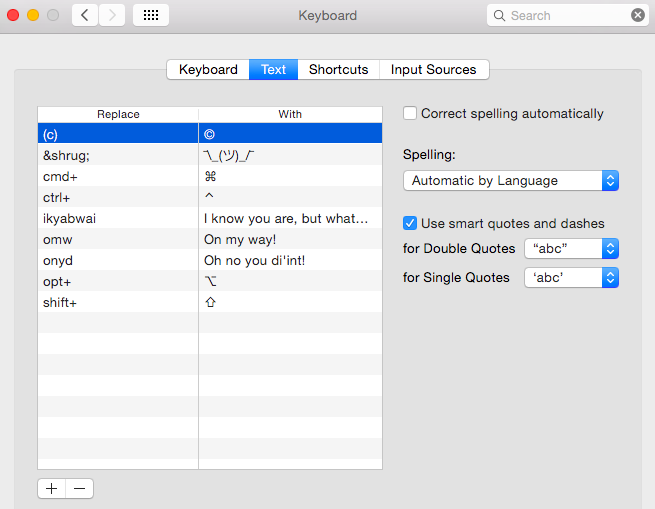 I was pleasently surprised to see even my text shortcuts synced over automatically. There are a few apps I’m trying to live without4 and whole boat load of things I haven’t set up yet. I’ll write another post next week with more apps I end up installing and tweaks I bring over. Follow along on Twitter or via RSS5 so you won’t miss it! If you enjoyed this Ecosystem post, you'll probably enjoy reading What Continuity Means to Me, How we use Trello to generate The Changelog Weekly, and GIF of the Year.